A few days ago I had to check one particular Apex plug-in for simple PDF printing. As you remember from my previous post, my newly installed laptop didn't have any Oracle DB sandbox, so I was 'forced' to make a quick decision: 'to do a full installation or to find some pre-installed Oracle virtual image'. I did some google search and the answer came sooner then I expected. The Oracle has a fully prepared DB environment and what is more interesting this DB image had 'Application Express 4.0.0.00.46' so I was really surprised. Thus, I started a very quick download (in fact it wasn't so quick because all packed files were up to 6 GB). Having completed all standard procedures (i.e. downloading, unpacking, running VB) I made two simple VirtualBox corrections. And only then had I a fully working Oracle DB sandbox. Uf :). 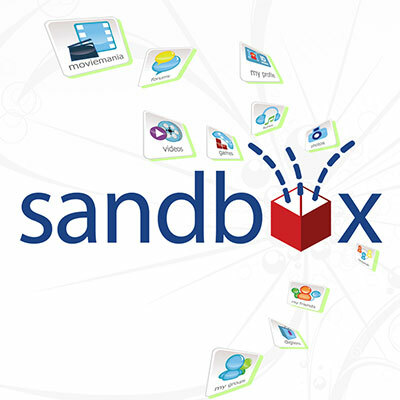 Where are these days when the preparation of Oracle sandbox took me long hours? Having checked the Apex PDF plug-in, I went through the whole Oracle sandbox and I have found an interesting Apex 'add-on' called Tomcat. OK, this is not the add-on in a common sense but an additional option that Apex could run with, or, in other words, could be used for a web tier. You may ask why I was so surprised? The answer is 'Oracle does not support this installation option', what is more, it suggests installing: GlassFish, WebLogic, OC4J instead. Moreover, as I remember, there were many discussions on Oracle forums about that unsupported issue. So, the questions stay open: 'Why does Oracle state that it is an unsupported option and meanwhile using it in its demo example?'. 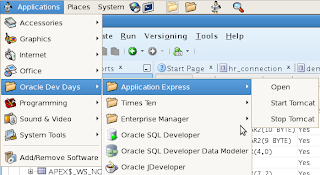 Nevertheless, if you would like to see how 'originally' Apex works with Tomcat, you could run this VirtualBox and check Oracle's sandbox, a well-done package.